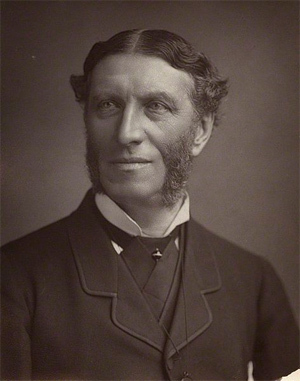 Matthew Arnold was the son of the famous Headmaster of Rugby School, Thomas Arnold - the Headmaster in the novel Tom Brown's Schooldays. Matthew also attended the School and later even taught there for a brief period. After Rugby he studied at that great seat of learning, Balliol College, Oxford, where he was great friends with the poet Arthur Hugh Clough. In 1843, Matthew Arnold's poem "Cromwell" won the Newdigate Prize, Oxford's most prestigious literary award. In 1852 he became Professor of Poetry at Oxford. Matthew Arnold died in Liverpool, after a heart attack. He had been running for a tram to take him down to the docks to meet his daughter returning from America.